At least that’s the best guess from investigators looking into major damage a 737 received while on approach to land. A Groupo Aeromexico 737-800 hit something while on approach to land in Tijuana at General Abelardo L. Rodríguez International Airport. Was it a drone? Everybody agrees on one thing. 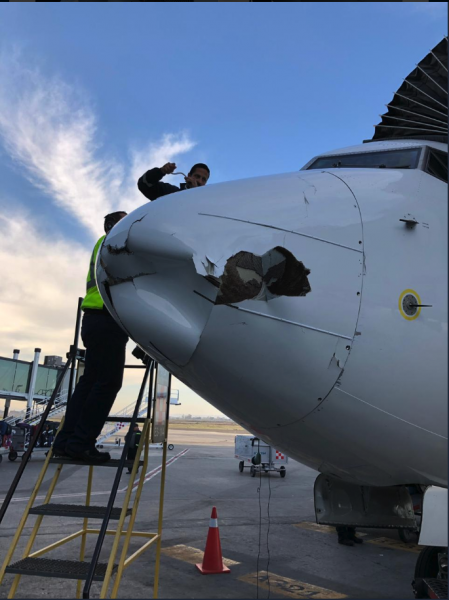 Earlier this week a Groupo Aeromexico 737-800 hit something while on approach to land in Tijuana at General Abelardo L. Rodríguez International Airport, in Tijuana, Baja California, Mexico. But what it hit remains to be seen. Was it a drone? It sure looks likely. The photographs from social media of the damage to the Boeing 737-800 looks pretty substantial. 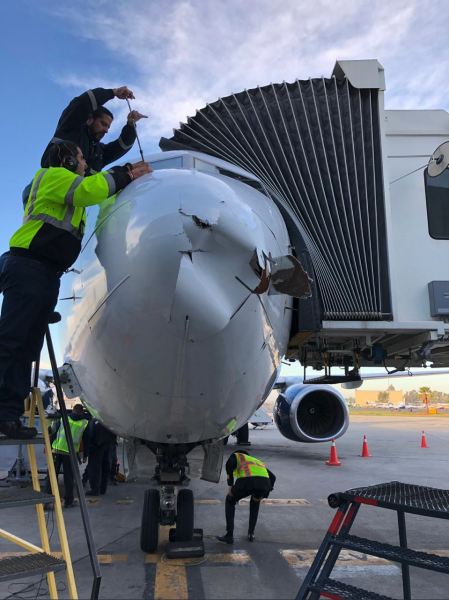 Aeromexico said in a statement that the passengers on the flight were never at risk, but then again, it doesn’t address the fact that the damage just happened to be to a non-structural component, the radar dome and that the damage there was extensive. Had it hit the tail, a wing or the windshield, matters could have been far more serious. As far as whether it was a drone or not, the best evidence so far is what evidence is not there, namely, bird remains. Generally, the site a bird strike, from a feathered creature big enough to do this much damage would leave a trail of feathers, tissue and/or blood. There was no sign of that. The next question becomes, what could the plane have hit at some low altitude that would have caused that kind of damage? The only plausible explanation we can come up with is, a drone. We’ll keep you updated on the story as investigators track down the facts.